An Indian company, Docoss Multimedia Private, is nevertheless promising to introduce an unbelievably cheap 3G Android smartphone — the world’s second cheapest smartphone priced at just 888 Indian rupees (that’s $13.30 in the U.S.). According to the Times of India and scant details of the phone on Docoss Multimedia’s official website, the ultra cheap smartphone, called Docoss X1, has surprisingly decent specs. It will come with a 4-inch screen, 1.2 GHz dual-core Cortex A7 processor, 1 GB RAM and 4 GB of internal storage that can be expanded up to 32 GB, as well as a dual Camera with flash light. A video posted on Docoss’s Facebook page reveals that the Docoss X1 will come packaged with earphones and USB data cable. The video also mentions that the budget smartphone will only be available in Black. And the phone runs on Android KitKat, powered by a 1,300 mAh battery. That such specifications could be achieved at such a rock-bottom prices has resulted in — some skepticism. 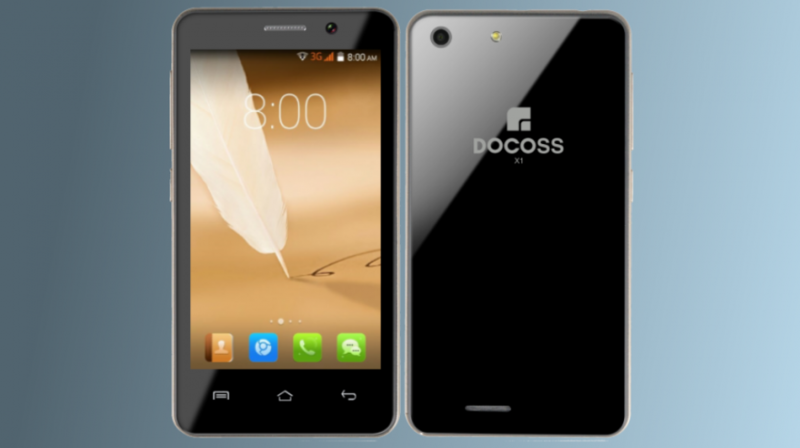 Docoss X1 is making news not only because it is unbelievably cheap, but also because its announcement comes hot on the heels of a similarly incredible announcement by another Indian mobile maker, Ringing Bells Private Limited. Ringing Bells allegedly scammed users to make some quick money with an announcement of the release of an even cheaper (world’s cheapest) smartphone dubbed Freedom 251 priced at 251 rupees ($3.78 U.S.)! After a high-profile launch of the Freedom 251 on February 17 this year and receiving more than 73 million orders, Ringing Bells soon saw its ‘251 smartphone’ sales unravel into charges of financial irregularities and fraud. The $3 smartphone had raised doubts over its super low pricing because it had components and specifications that seemed impossible at its selling price. It later emerged that the handset prototypes released by Ringing Bells during its launch were from another Indian manufacturer and distributor of mobile phones, Adcom. Adcom said it had sold the handsets to Ringing Bells at 3,600 rupees ($54). Ringing Bells consequently faced allegations of fraud. Ringing Bells is currently embroiled in legal proceedings over charges of cheating, placing misleading advertisements and collecting money through a ponzi scheme. It has been forced to refund customers who paid up front for the device. Demand for Low-Budget Smartphones Causing Suspect Smartphone Launches? The interest generated by the underwhelming Freedom 251 and Docoss X1 highlights the huge demand for low-budget smartphones not only in India, but also in the U.S and the rest of the world. A super-cheap smartphone may not be top of your wish list, but you may need it to give to young children so they can keep in touch with you, or require an emergency phone you can leave in the glovebox. And of course, small business owners are often tempted to trim their budgets where ever possible. Like the US, India is one of the fastest-growing smartphone markets. However, unlike the U.S, India has a large customer base with low purchasing power. That explains why companies like Ringing Bells are able to lure so many unsuspecting customers with low-end mobile devices. It is worth mentioning also that the Docoss X1 is being manufactured by a relatively new and unknown company from Jaipur. This is the first phone that the company is launching with no mention of any other products in its portfolio. Moreover, instead of off-the-shelf sales, customers were only allowed to pre-book the handset on the Docoss website. That pre-booking drew to a close April 28, according to the company website. How a new 3G Android smartphone would cost only $13 is unclear unless it is some kind of guerrilla pricing or undercutting strategy. Wouldn’t labor and materials used to manufacture a budget 3G Android smartphone, alone, edge the cost above $50, at a ballpark guess? Docoss Multimedia Private, however, claims deliveries of the $13 Docoss X1 was scheduled to begin in the beginning or middle of May. No word yet whether that’s happened. It remains to be seen whether the Docoss X1 Android phone will live up to its hype and be the breakthrough it purports to be — or turn out to be just another scam. NEXT POST Next post: This App Claims to Turn Your Phone into a Tiny Scanner but Does it Measure Up?